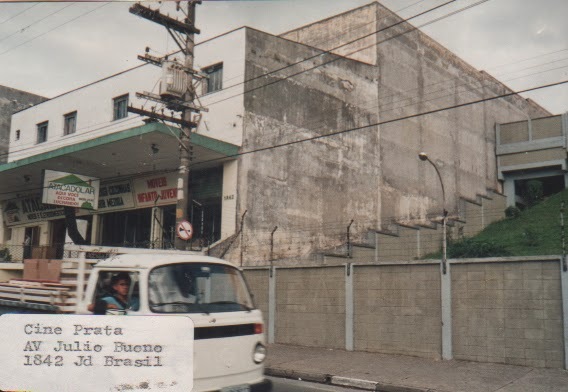 This is where Cine Prata at Vila Gustavo used to be; Av. Julio Buono, often mispelt as Julio Bueno. I used to visit some second-degree once removed cousins who lived at Vila Gustavo circa 1962. We got on the bus at Vale do Anhangabaú near Avenida Tiradentes and it took a whole hour to get to Vila Gustavo. Those relatives lived in a house with no running water which struck me as 'unusual'. They had a well in their backyard. Cine Prata was still exhibiting 1949 'Batman & Robin' in 1962.